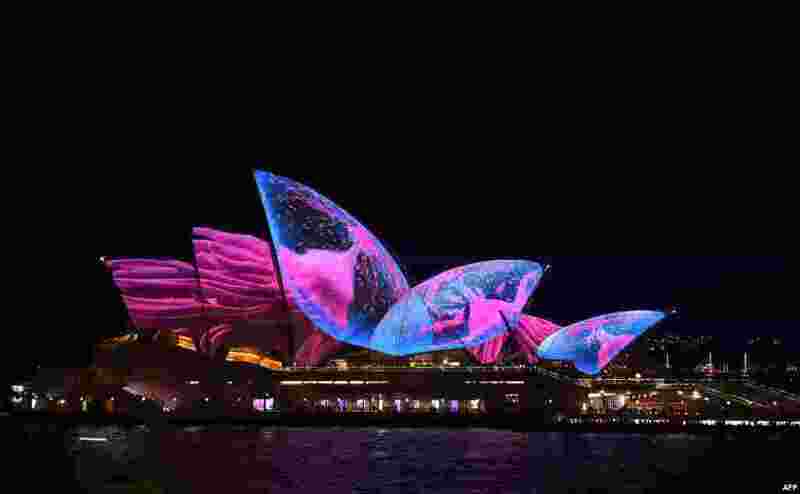 5 A light show called "Vivid" changes the appearance of the Sydney Opera House, Australia. 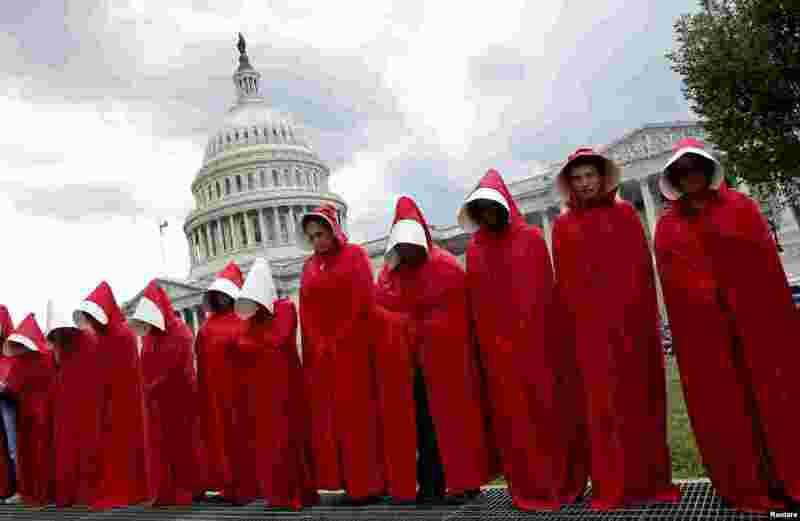 6 Women dressed as handmaids from the novel, film and television series "The Handmaid's Tale" demonstrate against cuts for Planned Parenthood in the Republican U.S. Senate healthcare bill at the Capitol in Washington, June 27, 2017. 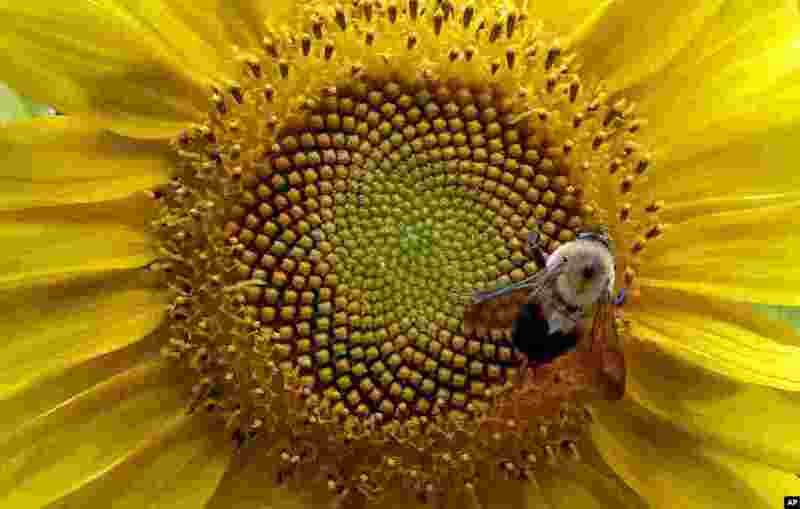 7 A bumblebee gathers nectar from a sunflower in rural Orange County near Hillsborough, North Carolina, June 27, 2017. 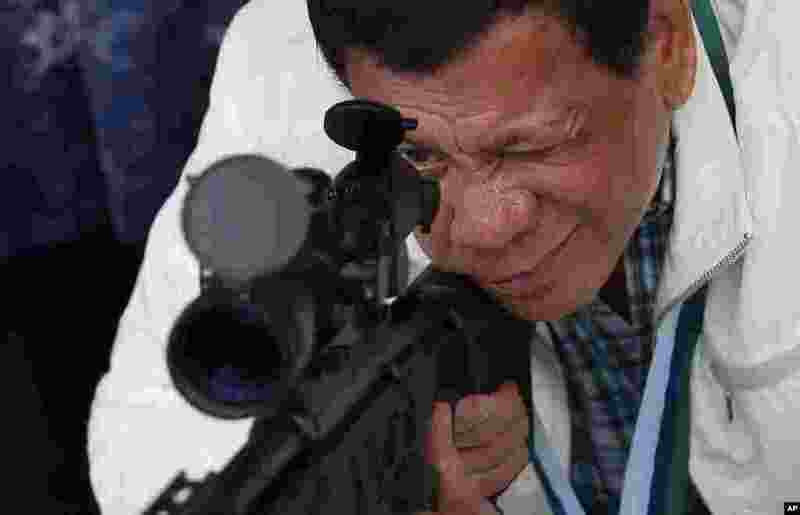 8 Philippine President Rodrigo Duterte checks the scope of a Chinese-made CS/LR4A sniper rifle during the presentation of thousands of rifles and ammunition by China at Clark Airbase in northern Philippines.